•Size: Approx 18 x 7 x 4cm / 7.08 x 2.75 x 1.57 inches. •Fit for medium and large frames, please kindly note the glasses size should smaller than the case size to make it fit well. •Before purchase, please see the size carefully so that you can buy the right one for youself. ✔SIMPLE & BUSINESS DESIGN: This Glasses Case uses normal closure design to close firmly can well protect your glasses, with a solid color collocation style and a special outlook that can be used to various occasions. ✔UNIVERSAL SIZE: This case fits most frames - both kids and adults. Small enough to easily slip into a pocket or bag so that your glasses stay safe and protected. The interior measurements(L x W x H) is 7.08" x 2.75" x 1.57". 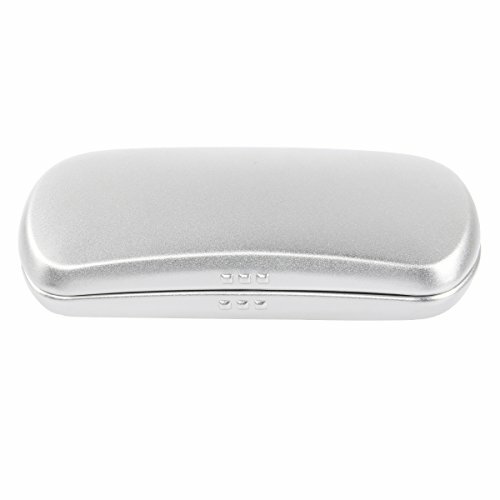 ✔A PERFECT GIFT: Such practical and stylish eyeglass case with its cool outlook would make a great gift for your friends and loved ones.WHAT ARE YOU WATTING FOR?